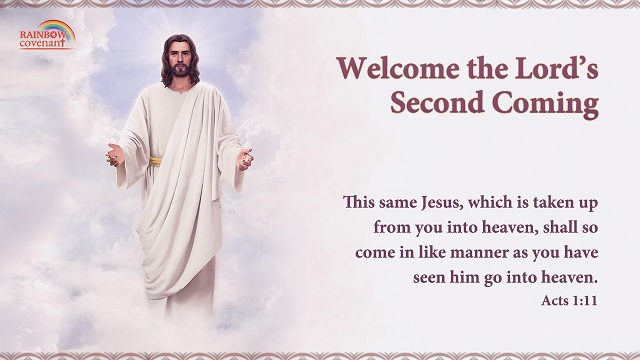 The Lord Jesus predicted that He would come again when ascending to heaven. Since it is a prophecy, we can’t understand it according to its literal meaning, for the thoughts of God shall always be higher than the thoughts of man, and the wisdom of God is unfathomable to man. After being corrupted by Satan, we are full of notions and imaginations about God, how can we accurately grasp God’s intentions and know how God will do His future work? Think back to the prophecies concerning the coming of the Messiah in the Old Testament, and none of them was fulfilled in accordance with the literal meaning or our imaginations. Take for example the fulfillment of this prophecy: “Behold, a virgin shall conceive, and bear a son.” When people read this prophecy, they thought that a virgin would certainly have no husband. However, when the prophecy was fulfilled, the fact they saw was that Mary, who had a husband, gave birth to Jesus. The Israelites of that time saw the fact didn’t tally with the prophecy at all. They drew a conclusion that Jesus was not the Messiah and refused to accept the fact of God’s work. Now, many people acknowledge that the prophecies have been fulfilled and the Lord has returned. Therefore, when it comes to the second coming of Jesus, we shouldn’t define God’s work based upon our notions and imaginations like the Pharisees, otherwise we will be eliminated. In fact, there are many other prophecies about the second coming of Jesus in the Bible, such as: “If therefore you shall not watch, I will come on you as a thief” (Rev 3:3). “For in such an hour as you think not the Son of man comes” (Mat 24:44). “The lord of that servant shall come in a day when he looks not for him, and in an hour that he is not aware of” (Mat 24:50). “Behold, he comes with clouds; and every eye shall see him, and they also which pierced him: and all kindreds of the earth shall wail because of him” (Rev 1:7). From these verses we can know that Jesus will first come in secret and do work in a day when man looks not for Him, and then appear publicly when His work is completed. And on that day even those who pierced him shall see Him, and all kindreds of the earth shall wail because of Him. The prophecies shall surely be fulfilled, but how and when they will be fulfilled are not according to our imaginations. May God guide us to ponder more and understand this aspect of the truth. Amen! » Will Jesus Come Back in the Spiritual Body or in the Flesh When Taking His Believers?